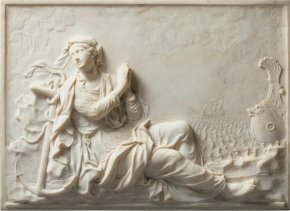 18/5/14 - Acquisiton - Paris, Musée du Louvre - The Département des sculptures at the Louvre made this beautiful acquisition at Sotheby’s Paris, purchasing this marble relief last 14 May which had remained unsold after the auction. 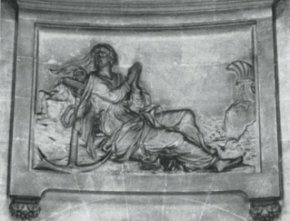 The work represents Hope, identified by the anchor, and is by Louis Le Conte, known as Le Conte de Boulogne (ill. 1). 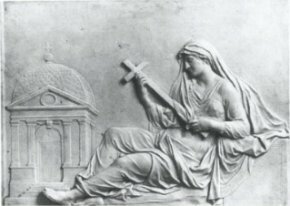 This is a reduced version of a stone sculpture found in the chapel of Saint Grégoire inside the church of the Invalides (ill. 2), and which is a pendant for another relief by Le Conte representing Faith (ill. 3) placed in the chapel of Saint Augustine. 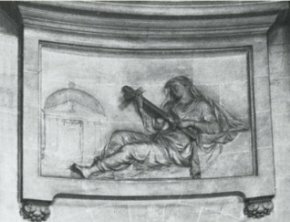 A reduction of the latter, of comparable size to the one acquired by the Louvre, resides at the Palais des Beaux-Arts in Lille (ill. 4). Le Conte became a member of the Académie Royale after reception of a relief of Saint Bartholomew, today residing at the church of Notre Dame in Versailles and was part of the many sculptors retained by Louis XIV during the construction of the château in Versailles, as studied by François Souchal in his French Sculptors of the 17th and 18th centuries. The reign of Louis XIV. The décor of the church of the Invalides was produced late in his career. This work will join the Lamentation of Christ by François Barrois at the Louvre, another sculptor active at Versailles, acquired at the end of 2013. Estimated at between 120,000 and 180,000€, it was no doubt supposed to be pre-empted, but this was impossible as it never sold. Therefore, it was acquired after the auction at an inferior price or one equal to the low estimate.